Egotism – usually just a case of mistaken nonentity. I’m now the Lord of the Brighton Manor. 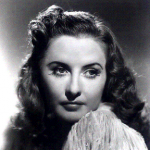 Barbara Stanwyck was an Academy Award nominated American actress. She was a film and television star, known during her 60 year career as a consummate and versatile professional with a strong, realistic screen presence, and a favorite of directors including Cecil B. DeMille, Fritz Lang and Frank Capra. After a short but notable career as a stage actress in the late 1920s, she made 85 films in 38 years in Hollywood, before turning to television. Orphaned at the aged of four and partially raised in foster homes, by 1944, Stanwyck was the highest paid woman in the United States. She was nominated for the Academy Award four times, and won three Emmy Awards and a Golden Globe. She was the recipient of honorary lifetime awards from the Academy of Motion Picture Arts and Sciences in 1981, the American Film Institute in 1987, the Film Society of Lincoln Center, the Golden Globes, the Los Angeles Film Critics Association, and the Screen Actors Guild. Stanwyck has a star on the Hollywood Walk of Fame and is ranked as the 11th greatest female star of all time by the American Film Institute.